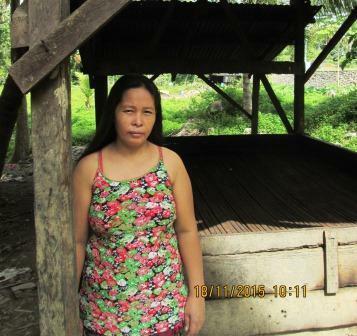 Fenie is a hardworking mother from Unidos, Plaridel. She is 35 years old and a businesswoman who makes copra. She buys whole coconuts for this. Fenie has signed her membership with the cooperative to gain access to insurances and credit. She applied for a loan to buy whole coconuts for making copra. Fenie hopes to succeed in this business to continuously provide for her family. Congratulations to Feni from the Philippines!